Coupons valid until End of Season / September 15th. May redeem multiple coupons per person. Kids option is valid for ages 1 to 5 years old. Valid on weekends and weekdays. Open daily from 9 AM till 6 PM. Non-Refundable / No carry over. VAT included in price. Standard terms & conditions apply. 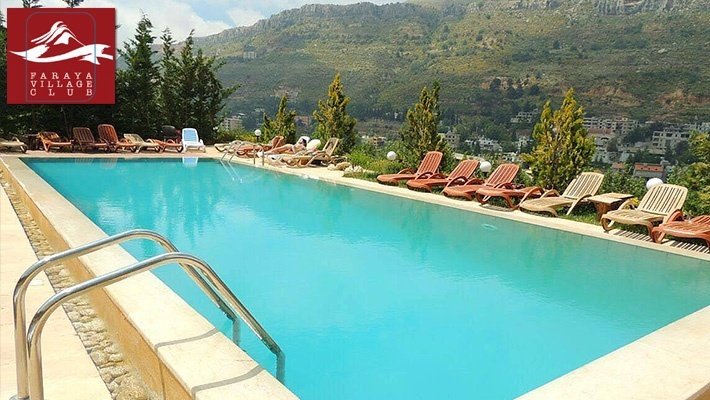 Get in your car and head on a road trip to Faraya to enjoy beautiful sceneries and some fun in the pool. 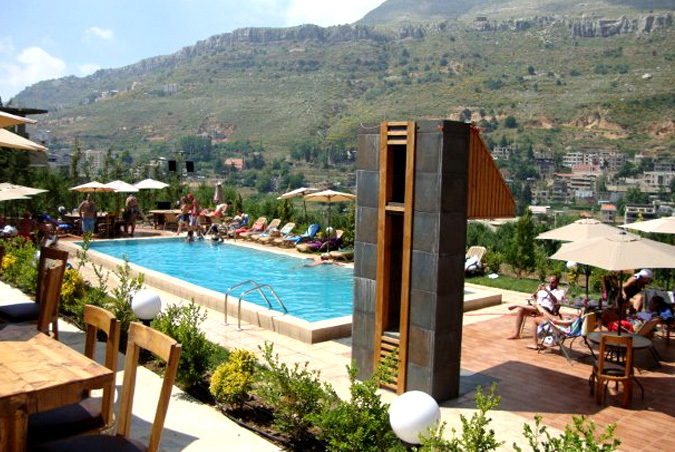 Benefit from 50% off Pool Entrance at Faraya Village Club, starting from $5 instead of $10. Enjoy a dose of fresh air and amazing views! Like a secret hidden between the valleys, Faraya village Club lays there, embracing the snow and welcoming the sun, becoming the perfect getaway for all seasons. Spend the night accompanied by the stars, sipping hot drinks and wake up to the most breathtaking views of all. Ideally located on the new Faraya road, Faraya Village Club welcomes you all year long for unlimited comfort, relaxation, fun, and entertainment. Faraya Village Club is a prestigious and genuine mountain lodge consisting of charming chalets, a restaurant & bar, a swimming pool, a spa, and 24-hour room service, it is perched at 1,400 meters above sea level and at a 10 minutes’ drive from Lebanon’s leading ski slopes. While staying at Faraya Village Club, you can benefit from the shuttle service to the slopes, access to the CIELO pool bar and many more services tailor-made for your convenience. Other facilities include ATV & Ski-Doo rental, hiking, mountain biking, and many more adventurous activities.